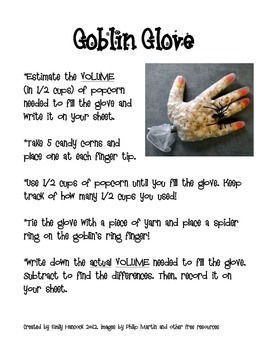 These are simple to create measurement math centers designed at practicing estimating and measuring. 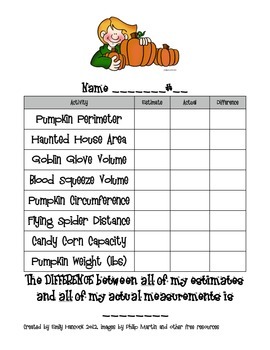 We use pounds, centimeters, fluid ounces, feet, inches, cups, etc. 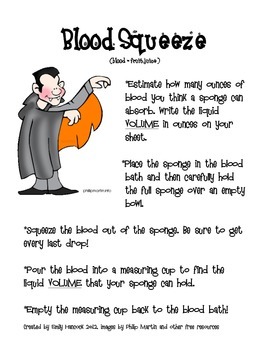 I use this with students who do not celebrate Halloween by changing the "Blood Squeeze" to Alien blood. 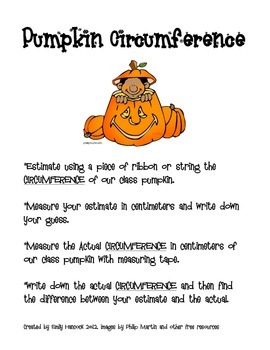 You can hold a contest for the closest guess to the pumpkin weight and if you have two pumpkins you can give one away for perimeter too! I find that having students write down their estimates for each activity in INK first helps prevent any cheating. At the end of the game the student with the closest over estimates vs. actual wins a prize. Please email me if you would like me to adjust any of the centers for you! I have called my event a "Harvest Festival" and "Hancocktoberfest" in honor of Octoberfest too.